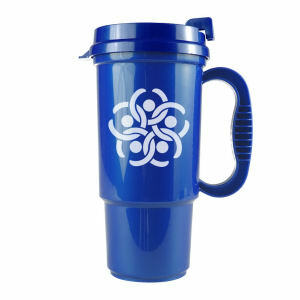 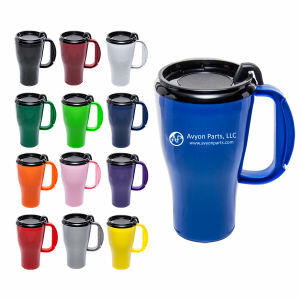 Praise will flow from clients’ lips when you reward them with custom promotional insulated mugs from IASpromotes.com. 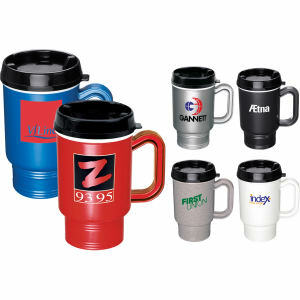 On desks, in cars, in break rooms and conference rooms, imprinted insulated mugs are among the most highly visible promotional items out there today. 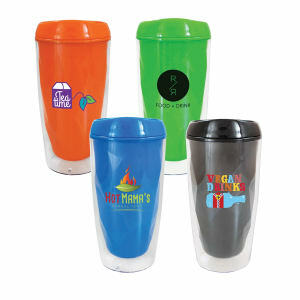 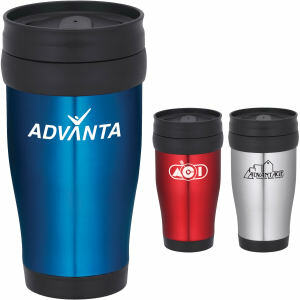 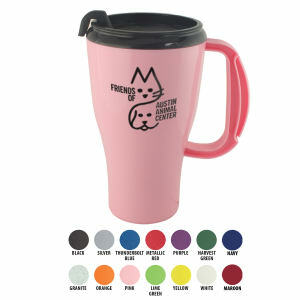 Custom insulated mugs allow customers and employees to keep beverages at their desired temperature for far longer than regular promotional mugs. 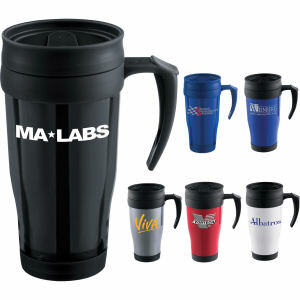 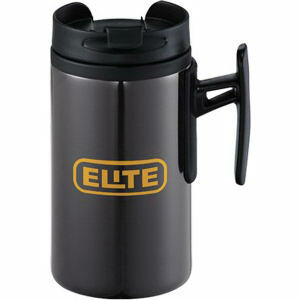 They are particularly popular within office environments where coffee is the beverage of choice all day long. 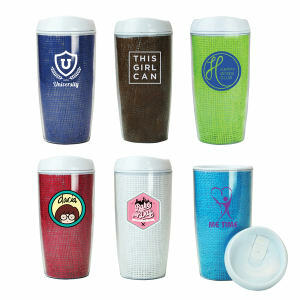 Put that visibility to use for your brand with our wide assortment of custom promotional insulated mugs, featuring high quality imprinting designed to last wash after wash. All of our styles and colors of insulated mugs are fully customizable with our easy to use online tools.